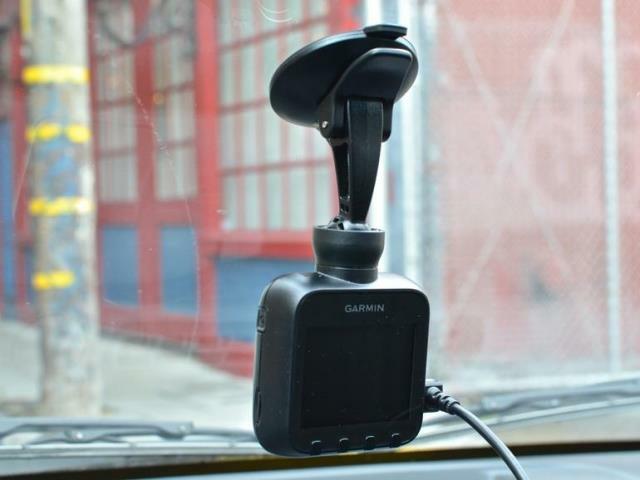 The Garmin Dash Cam 20 is one of the few name brand dashboard cameras currently available. It has a squarish design similar to many of the Taiwanese dash cams available like the HP F210 and Transcend DrivePro 200. The Garmin Dash Cam 20 records 1080p at 30fps. Video quality is very good during the day and average at night. Bit rate is approximately 11Mbps. Some owners have indicated the video quality is worse than the affordable G1W. This is disappointing for a $200+ camera. Another negative is the form factor of the camera. While the camera is all black, the squarish design and large suction cup mount make it too noticeable. Also many owners complain the suction cup mount is of poor quality. On the plus side it has a 2.3″ LCD screen which makes it easy to configure the camera. Another negative is that the power cable provided is too short if you want to install around the windshield and it is a proprietary Mini USB cable. Garmin will gladly sell you a 5M extension for $25 which really should have been included with the camera. 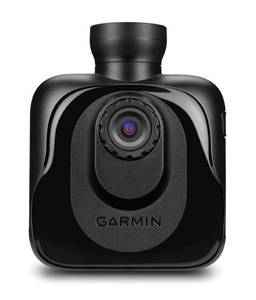 The Garmin Dash Cam 20 comes with GPS (the Garmin Dash Cam 10 is nearly identical but without GPS) and G-sensor. Another positive is that this camera can be found at many “bricks and mortar” retailers like Best Buy and Costco for people who are not comfortable buying online. You can read more about Garmin cameras on our forum here. A few owners have indicated that this camera freezes / stops working randomly. There is no known resolution for this problem. Many Mac owners have indicated that this camera does not work with there computers. The solution is to install and use VLC Media Player to watch the AVI files. If you want to edit videos with iMovie, you will have to convert the AVI files to MP4 or another compatible format. The average video quality, large form factor, short power cable and high price tag make this a difficult camera to recommend. While it is a brand name camera, build quality is good and can be found at large retailers, there are many other cameras that are better for much less money. The Transcend DrivePro 200 is a better buy with a similar form factor (includes WiFi but not GPS). Alternatively, look for a smaller, more discreet camera. The Garmin Dash Cam 20 sells for approximately $200 on Amazon and eBay. The latest firmware can be found on the Garmin site. You can download the owners manual here. Final Word A brand name camera which is not discreet and has worse video quality than cheaper cameras.